Tree pruning is one of the most important elements of tree care services, especially when it comes to the mighty oak. Not only does it ensure your plants and trees maintain their health and beauty, it encourages new growth and deters damage. 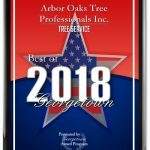 For decades, Arbor Oaks has been trusted for our affordable tree service year-round, and the proof of our expertise is in the vibrant landscapes you see in the Georgetown Texas area. From Oak Tree Pruning to Ball Moss Removal—We’ve got you covered. When it comes to tree care services, minimizing the risk of disease, storm damage, and high-risk situations is essential. That’s why our professional tree pruners carefully analyze your property before taking any action. 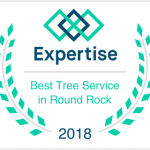 From simple oak tree pruning to encouraging new growth patterns for better clearance, our experts are skilled at every aspect of affordable tree service. Pruning of mature trees: To eliminate hazardous limbs, reduce liability, create a safer environment, and promote new healthy growth. Pruning of young trees: To establish a strong branch structure, allowing trees to weather storms as they mature. Tree pruning of young trees also promotes new, healthy growth. Pruning of damaged trees: To remove damaged limbs and allow a tree to shift focus from shedding those damaged limbs to new and healthy growth. Ball moss removal: Texas trees are especially subject to infestations by a plant called ball moss. If left unchecked for a long period of time, you’ll find unhealthy trees and more expensive removal. Oak tree pruning, and any tree trimming in generally, takes experienced skill of an expert. Because each tree type and variety has its own pruning schedule and requirements, it’s best to call a tree care services company get it done right. Call us today at 512-240-6047 for a free estimate.